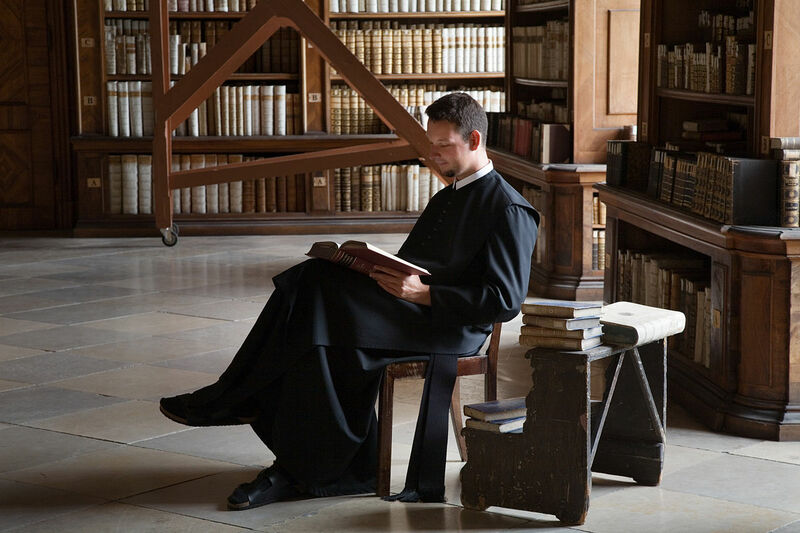 Priest Reading in Library of Göttweig Abbey in Austria. By Jorge Royan, Argentina. Published April 9, 2014 at 1200 × 800 in Contentedness embodied (Part Two)	~ Post a comment or leave a trackback: Trackback URL. Hope you have a contentment-full Sunday, and thank you for sharing Hariod. Take care, you matter. How lovely to hear from you Maryrose, and with such a delightful message too; I truly appreciate it. I am pleased you like this choice of picture, and purely because of that shall use it in the post I am publishing here later today. The piece is called ‘Contentedness Embodied’, and I think this priest seems a perfect exemplar of how that might look. Thankyou for the inspiration. Blessings on the day to you and Molly dear Maryrose. You’re welcome. 🙂 I look forward to seeing what you hear from this image. A ‘Contentedness Embodiment’ is perfect. I think I am going to make the bookstand. I was telling my mom and she likes the idea of having one by her, so we shall see. My vegetable and herb garden has to go in first. I managed to write my little piece, Maryrose, [ http://wp.me/p4wkZJ-e1 ] and included the photograph above as prompted by your kind words – thankyou, and good luck with progress on the table for your mum (English spelling for me!) and vegetable garden too. Thankyou also for your interest and delightfully tranquil presence – a real pleasure.